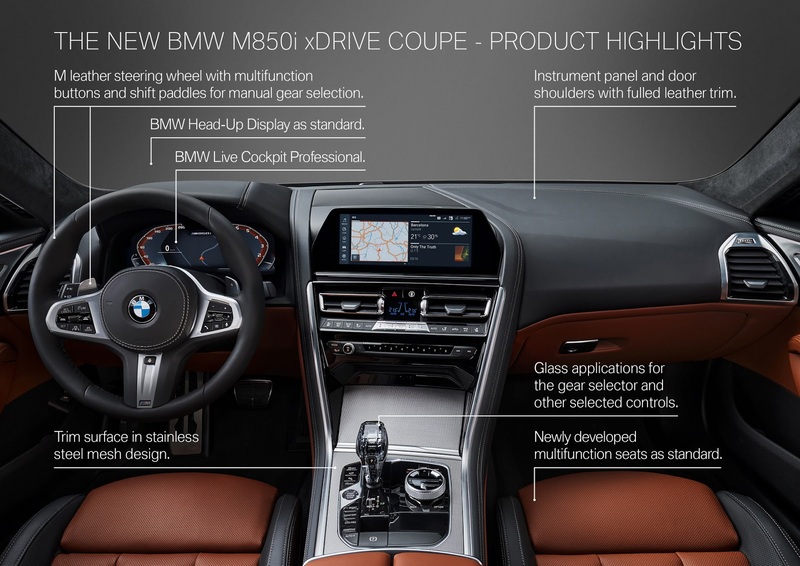 A renowned German automotive manufacturer, BMW some time ago officially launched a new product, Series 8. The car is offered to sports car consumers and people who like to drive themselves. 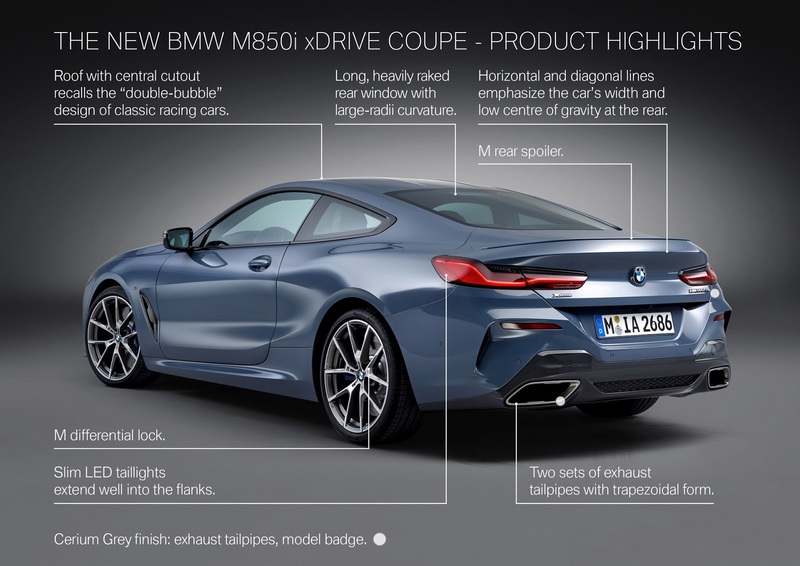 As reported by Carscoops, on Friday June 22 2018, the new BMW 8 Series Coupe comes as a powered vehicle but is overlaid with a stylish BMW design. This vehicle is designed as a car that is agile, precision, and quiet like a typical high-class sports car. From the exterior look the BMW 8 Series has a very aerodynamic design but still looks muscular. In front of it is a typical BMW grille and headlights, while the stern has many grooves that make it look sporty. 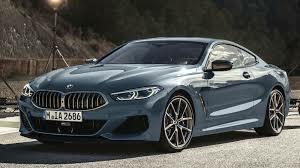 The BMW 8 Series has dimensions of 4,843 millimeters in length, 1,902 mm in width, 1,341 mm in height, and its 2,848 mm wheelbase. The cabin is designed to follow a sporty style and a fast car, but it is combined for the comfort of the driver and passengers inside with leather upholstery. In the middle of the cabin there is a 10.25-inch screen as an information and entertainment center that can be active with touch or sound. The instrument cluster uses a digital model to make it easier for drivers to get information about their vehicles. 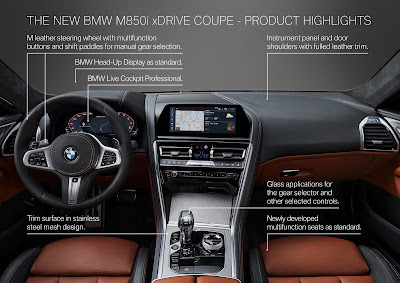 There are two engine options for the 8 series, namely a diesel engine with a capacity of 3.0 liter six cylinders with dual turbo mounted on the 840d xDrive variant. The machine is capable of spraying 315 hp and 680 rpm of torque. With a combination of eight-speed steptronic transmission, the BMW 840d xDrive can run from 0-100 kilometers per hour in 4.9 seconds. 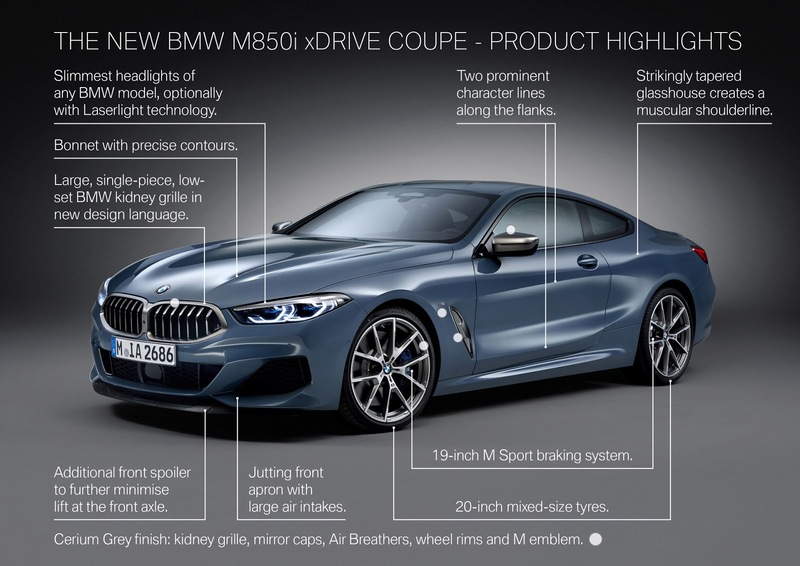 Other engine options, namely the 4.4-liter gasoline engine with eight-cylinder V configuration complete with dual turbo embedded in the M850i ​​xDrive variant. This engine powered 523 hp with 750 nm of torque. With this engine, the car can run from 0-100 kilometers per hour in just 3.7 seconds. So, who is the competitor of the BMW 8 Series in the world.